There are seven commercial vault operators (custodians) in the LBMA custodian vault network namely, HSBC, JP Morgan, Brinks, Malca Amit, ICBC Standard Bank, Loomis (formerly Viamat), and G4S. Note that ICBC Standard Bank has a vault which is operated by Brinks on behalf of ICBC Standard. It is also quite possible that some of the HSBC vaults, such as the famous GLD gold vault, are located within Brinks facilities. Adding in the Bank of England gold vaults under the Bank of England’s head office in the City of London, the LBMA vaulting network comprises eight sets of vaults. 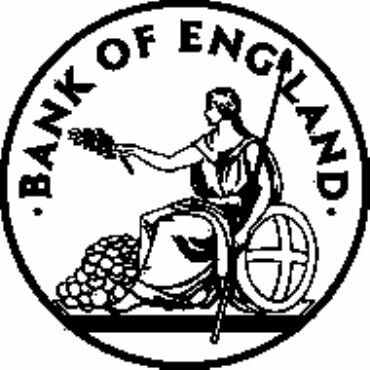 However, the Bank of England vaults do not store silver, or at least there is no evidence that the Bank of England stores silver. However, the other 7 vault operators can and do store silver, or at least most of them do. It’s unclear whether the G4S vault stores anything on behalf of anyone, but that’s a different story. The LBMA will report physical holdings data on an aggregated basis for each of gold and silver, i.e. one quantity number will be reported each month for vaulted gold, and one quantity number will be reported each month for vaulted silver. 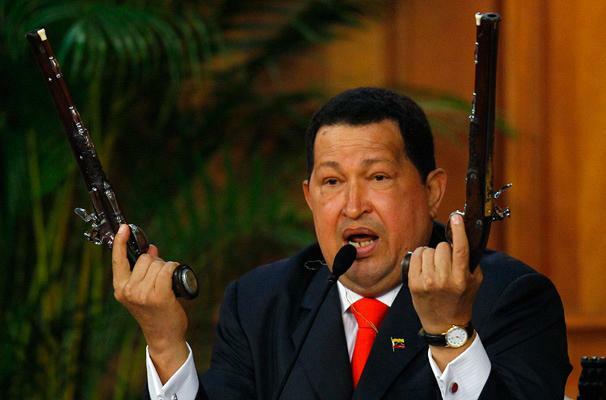 The LBMA data will be on a 3-month lagged basis. For example, if the LBMA begins reporting this data in early July (which it probably will), then the first set of data will refer to the end of March period. The uncertainty as to when the LBMA will begin to publish its vault holdings data is purely because the LBMA has not provided a specific publication commencement date. 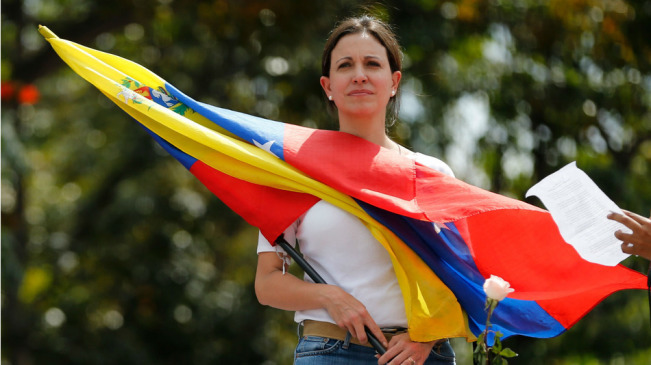 At first, the LBMA announced that the reporting would begin “in the summer”. 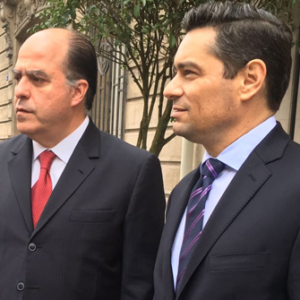 Subsequently, it announced that it’s vault reporting would begin in July. Incidentally, the Bank of England has now updated its website (updated 30 June) with the gold holdings figure for its vaults as of the end of March, and is reporting total physical gold holdings of 163.36 million troy ounces, which equates to 5081 tonnes of gold. 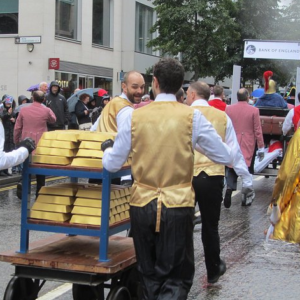 When the LBMA begins to publish its numbers, it will be clear as to whether the LBMA gold number includes the Bank of England gold holdings or not, and this will probably even be specified in a footnote of the report. Excluding the Bank of England vaults (or at least the non-loaned gold in the Bank of England vaults which is not under the title of bullion banks), the remaining lion’s share of the LBMA’s gold holdings number comprises gold held by Exchange Traded Funds (ETFs) in London. The approach used to calculate the gold stored by these ETFs in the London vaults can be seen in the article “Tracking the gold held in London: An update on ETF and BoE holdings”. To this 1510 tonnes gold figure we can add gold held on behalf of customers of BullionVault and GoldMoney – which is roughly 12 tonnes of gold between them (4.75 tonnes for GoldMoney, and 7.2 tonnes of gold for BullionVault). 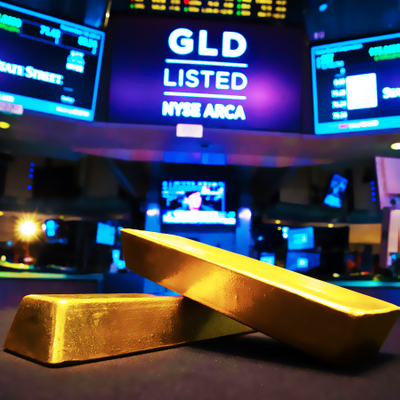 When the LBMA publishes its first gold total for gold held in its vault network, it will also be clear as to whether the LBMA vaults hold any significant amount of physical gold above and beyond the gold allocated within the gold-backed ETFs. There may be some gold tonnage held on an allocated basis by the LBMA bullion banks as a ‘float’, and also some gold held in allocated form by various institutional investors such as hedge funds, but my hunch is that this residual gold will be at most a respectable fraction of the amount of gold stored on behalf of ETFs in London. However, the silver holdings in the LBMA vault network are a different kettle of fish entirely, and in addition to ETF holdings (which are reported), there could be significant silver holdings in the London vaults which have gone unreported up until now (unreported silver in the form of what consultancy GFMS calls ‘Custodian Vault’ holdings). Although gold usually generates the most headlines, it’s important not to forget about silver, and the fact that this new LBMA reporting will also provide a monthly aggregated total for the amount of physical silver held in the LBMA vaulting network in London. The silver stored in these LBMA vaults is in the form of variable weight London Good Delivery silver bars. The recommended weight range for a Good Delivery silver bar is between 900 troy ozs and 1100 troy ozs, however, these bars will often weigh in the region of about 1000 troy ounces each. The minimum purity of a London Good Delivery silver bars is 99.9% pure silver. 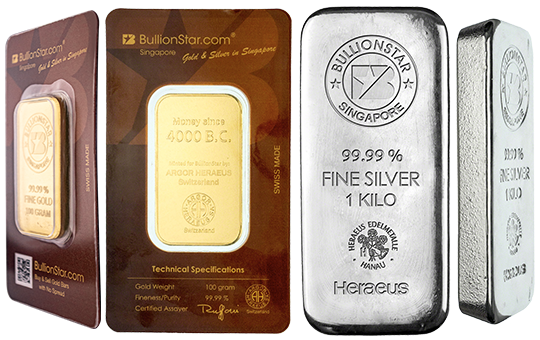 For example, on the BullionStar website there is a Heraeus 0.999 silver bar weighing 947.75 troy ounces. This Heraeus silver bar is an example of a Good Delivery silver bar. Since silver has a lower value to weight ratio than gold and is bulkier to store, silver a) takes up more room and b) can be stored in secure warehouses rather than ultra-high secure vaults that are used to store gold. This is particularly true in expensive cities such as London where it is more economical to store silver in locations with lower commercial rental values. 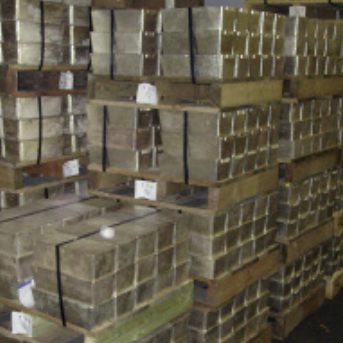 In the LBMA vaulting network, London Good Delivery silver bars are stored 30 bars per pallet, i.e. a formation of 10 bars stacked 3 bars high. Since each bar weighs approximately 1000 oz, each pallet will weigh about 30,000 ozs, i.e. each pallet would weigh about 1 tonne. At this stage, can we arrive at an estimate of the minimum amount of silver currently held in the LBMA London vaulting network? The answer is yes, for the simple reason that, in a similar manner to gold-backed ETFs, a substantial number of silver-backed ETFs also hold their silver in the vaults of London-based precious metals vaulting custodians, and these ETFs publicly report their silver bar holdings. 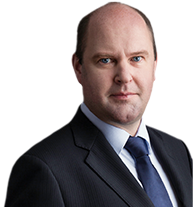 In addition, BullionVault and GoldMoney (which are not ETFs), both hold silver with one of the custodians in the LBMA vaulting network – Loomis. But I have included the BullionVault and GoldMoney silver totals below purely because even though they are non-ETF custodian vault holdings, both companies’ silver holdings are publicly reported on their websites. 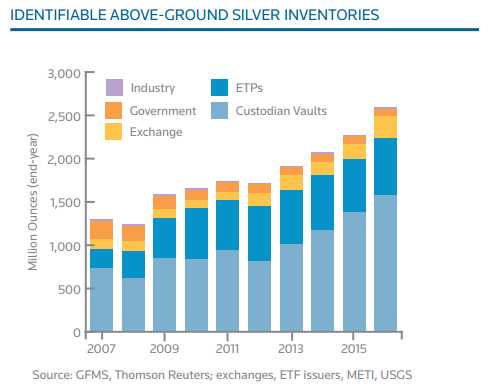 However, there is probably also a lot more additional silver held in the London vaults above and beyond the silver bars allocated to ETFs and the known silver stored by GoldMoney and BullionVault. Some of this additional silver falls under what Thomson Reuters GFMS classify as ‘Custodian Vault‘ silver, which is silver that is basically in an ‘Unreported’ category but which Thomson Reuters GFMS seems to think it knows about through its own ‘proprietary surveys’ and ‘field research’. This ‘Custodian Vault’ silver probably accounts for a substantial amount of silver in the London vaults. However, it is difficult to know because GFMS does not provide granularity on its numbers beyond an overall ‘Europe’ number. But I have made some assumptions about this ‘Custodian Vault’ silver in London, which is discussed in a final section below. Between them, these four providers offer 11 ETFs that hold some or all of their silver in LBMA London vaults. This silver is held with custodians JP Morgan and HSBC, and with sub-custodians, Brinks and Malca Amit. Note, that GoldMoney and BullionVault store silver in London with Loomis as custodian. As publicly traded vehicles, most of these ETFs publish daily silver bar weight lists or holdings files and they also undergo twice yearly physical audits by independent auditors. These weight lists and audits documents are helpful in pinpointing who the custodians and sub-custodians are, which locations these silver ETF’s store their silver in, and how much silver (in silver bar form) is stored in each location. The iShares Silver Trust, ticker code SLV, is the world’s largest silver-backed ETF. It’s probably best to think of SLV as the silver equivalent of the mammoth SPDR Gold Trust (GLD). The custodian for SLV is JP Morgan Chase Bank (London Branch), and Brinks also acts as a sub-custodian for SLV. SLV holds silver in vaults across both London and New York. According to the SLV daily silver bar weight list, SLV’s silver bars are held in two Brinks vaults in London, one JP Morgan vault in London, and one JP Morgan vault in New York. The SLV weight list specifies that the SLV silver is held in a ‘Brinks London‘ vault, a ‘Brinks London C‘ vault, a ‘JPM London V‘ vault, and a ‘JPM New York‘ vault. Between them, 2 Brinks vaults in London hold 55% of SLV’s silver bars representing 5753 tonnes, or 54% of the silver held in SLV. Adding in the ‘JPM London V‘ vault means that 289,053 silver bars, weighing 8720 tonnes (or 82% of SLV’s entire silver holdings) are held in LBMA London vaults. This would suggest that Inspectorate does not see the need to distinguish between the “Brinks London” vault and the “Brinks London C” vault, presumably because both Brinks vaults are in the same building in the Brinks facility (which is beside Heathrow Airport). Royston is about 50 miles north of central London. The above list is taken from the following chart which is from the ScrewTape Files website. Given that there are Brinks vaults in London named ‘Brinks London‘, ‘Brinks London A‘, and ‘Brinks London C‘, this would most likely imply that there is or was also a ‘Brinks London B‘ vault, which, for whatever reason, doesn’t show up in any ETF custodian documentation. The naming convention of the JP Morgan vaults in London as ‘JPM London A‘ and ‘JPM London V‘ is also interesting. SLV silver started being taken out of the ‘JPM London A’ vault in February 2012, and this vault was depleted of 100 million ounces of SLV silver (~ 3100 tonnes) by October 2012 (blue line in above chart). At the same time, the SLV silver inventory in the ‘Brinks London’ vault ramped up by 100 million ounces of SLV silver also between February 2012 and October 2012. JPM London A could be JP Morgan’s original vault in the City of London. This would then make the JPM London V vault a separate location. My pet theory (pet rock theory) is that the V in the ‘JPM London V’ could refer to Viamat International, which is now known as Loomis. JP Morgan could have outsourced storage of silver to Viamat by ring-fencing some vault space. JP Morgan could then call this space a JP Morgan vault, even though it would be physically within a location managed by one of the security storage / transport providers. I now think on balance that HSBC probably took the same approach with its gold vault and has it located in a Brinks facility, but that it calls it a HSBC vault. This could also mean that HSBC uses Brinks to store silver, while referring to it as HSBC storage. As to whether HSBC and JP Morgan store gold at the Bank of England while labelling it as a HSBC or JP Morgan storage area is another interesting question, but is beyond the scope of discussion here. Note, there is also an iShares Silver Bullion Fund known as SVR which uses Scotia Mocatta as a custodian, which as of 29 June held 2,154 silver bars, however, SVR mostly holds its silver bars mostly in Toronto with Scotia, with a small number of silver bars stored with Scotia in New York. SVR therefore does not store any silver bars in London. See latest SVR weight (go to this link using a new browser window https://scotiamocatta.com/scpt/scotiamocatta/ishare/SVR.pdf). Keeping track of all the silver-backed ETFs offered by ETF Securities is challenging to say the least, but in the below discussion I’ve tried to devise a system which will make things at least a little clearer. ETF Securities operates 6 ETFs which hold physical silver bars that are stored in the LBMA precious metals vaulting network in London. Of these 6 ETFS, 3 of them hold silver bars and nothing else. The other 3 ETFs are precious metals baskets which hold ‘physical’ gold, silver, platinum and palladium. Two of these ETFs are domiciled in the UK, 2 are domiciled in Australia, and the other 2 are domiciled in the US. In each of the UK, Australia and the US, ETF Securities offers 1 silver ETF and 1 precious metals basket ETF. It’s most convenient to refer to the codes of these ETFs when discussing them. The 2 UK domiciled ETFs, with codes PHAG (silver) and PHPM (precious metals basket), are positioned under a company called ETFS Metal Securities Limited (MSL). The 2 ETFs domiciled in Australia, with codes PMAG (silver) and PMPM (precious metals basket), fall under a company called ETFS Metal Securities Australia Limited (MSAL). The final 2, which are US domiciled, are known as SILV (silver) and GLTR (precious metals basket). 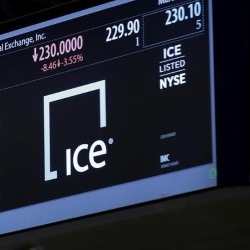 ETFS Physical Silver (PHAG) has a primary listing on the London Stock Exchange (LSE) and trades in USD. It’s NAV is also in USD. The custodian for PHAG is HSBC Bank Plc, with a listed vault location of London. Note: There is also another variant of PHAG called PHSP. It’s the same security as PHAG (same ISIN) but its trades in GBP (and its NAV is calculated in GBP). Its best to ignore PHSP as it’s literally the same fund. ETFS Physical PM Basket (PHPM) is a precious metals Basket ETF that also holds gold, platinum, and palladium, in addition to silver. The custodian is HSBC Bank Plc with a vault location in London. There is also a GBP variant of PHPM called PHPP. Again, just ignore PHPP in this analysis. ETFS Metal Securities Limited (MSL) officially reports all of its precious metals holdings in the same report (which it reports on each trading day). Since PHAG and PHPM are part of MSL, PHAG and PHPM silver bar holdings are reported together. According to the MSL weight list, as of 30 June 2017, MSL held 62,427 London Good delivery silver bars containing 60,280,155 troy ounces of silver (1875 tonnes). The individual ETFs within MSL also report their own holdings. However, there is a slight mismatch between dates on the individual fund pages and the date in the MSL spreadsheet with PHAG and PHPM reporting 29 June, while MSL has reported 30 June. It’s not a big deal though. As of 29 June, PHAG held 58,777,148 troy ozs of silver (1828.2 tonnes) and PHPM held 1,480,037 troy ozs of silver (46 tonnes), which together is 60,257,185 troy ounces of silver (1874.25 tonnes), which is very close to the MSL reported number. Overall, PHAG holds 97.5% of the silver that is held in MSL, and PHPM only holds about 2.5% of the silver held in MSL. MSL holds 62,427 London Good Delivery silver bars in LBMA vaults in London, containing 60.28 million ounces of silver (1875 tonnes of silver). The Malca Amit vault stores 42,917 of these bars (1283 tonnes), and a HSBC vault stores another 19,510 silver bars (592 tonnes). Inspectorate is also the independent auditor for the silver held by MSL. According to the latest Inspectorate audit letter, dated 3 March 2017 but referring to an end audit date of 31 December 2016, the silver in MSL was held in the vaults of HSBC Bank plc, London and at the vaults of Malca-Amit London. ETFS Physical Silver (PMAG), domiciled in Australia, is an ETF which only holds silver, and holds this silver in London with custodian HSBC Bank plc at a vault location in London. Note: ETF Securities officially refers to PMAG as ETPMAG. ETFS Physical PM basket (PMPM) is a precious metals Basket ETF that also holds gold, platinum, and palladium, in addition to silver. The custodian of PMPM is HSBC Bank plc with a vault location in London. Note: ETF Securities officially refers to PMPM as ETPMPM. In a similar way to UK domiciled MSL, MSAL (the ETFS Australian company) reports on all of its precious metals holdings in one daily spreadsheet including the silver in PMAG and PMPM. As of 30 June 2017, MSAL held 2754 silver bars in a HSBC vault in London, containing 2,664,690 troy ounces of silver (82.88 tonnes of silver). Of the 2,664,690 ounces of silver held by MSAL, over 98%, or 2617,229 ounces, is held by PMAG, with less than 2% held in PMPM (47,362 ounces). The actual figures are 98.22% vs 1.78%. This means that PMAG roughly holds 2705 silver bars, and PMPM holds 49 silver bars. Inspectorate is, not surprisingly, also the independent auditor for MSAL’s metal holdings, and as per the latest audit letter for record date 31 December 2016, the silver bars audit location is stated as having been “HSBC Bank plc, London“. The final two ETF Securities ETFs which hold silver bars are the ETFS Silver Trust (SIVR), and the ETFS Precious Metals Basket Trust (GLTR). 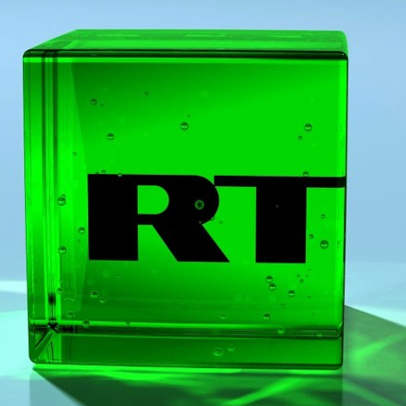 HSBC bank plc is the custodian of SIVR and JP Morgan is the custodian of GLTR. However, GLTR also uses Brinks as a sub-custodian. The latest silver bar weight list for the ETFS Precious Metals Basket Trust (GLTR), also dated 29 June, and which is titled “JPM Precious Metals Basket Bar List“, states that the GLTR Trust holds 5,670 silver bars containing 5,496,035 ozs of silver (~ 171 tonnes of silver). 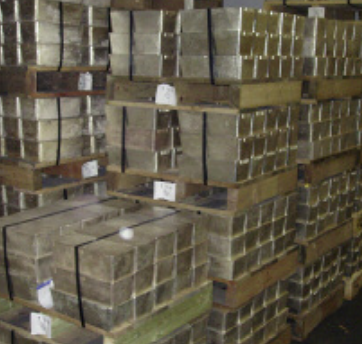 However, while 85% of these bars (144.5 tones of silver) are stored in the ‘JP Morgan V‘ vault, 15% of the silver bars (26.5 tonnes of silver) are stored in a ‘Brinks 2‘ vault. So according to GLTR naming convention, as there is a ‘Brinks 2’ vault, presumably when it was first named, there was also a ‘Brinks 1’. ‘Brinks 2’ could possibly be referring to the same location as the ‘Brinks London A’ vault. Inspectorate is also the independent auditor for the precious metals held by GLTR. In the latest Inspectorate audit letter for GLTR, with an audit reference date of 31 December 2016, Inspectorate states that its audit was only conducted “at the vault of J.P. Morgan Chase N.A, London (the “Custodian”)” where it counted “4,873 London Good Delivery Silver Bars“. This probably means that GLTR’s holdings of silver bars in the ‘Brinks 2’ vault are quite recent, i.e. they have been acquired since 31 December 2016. A silver-backed ETF offered by the ETF provider ‘SOURCE’, which is named the Physical Silver P-ETC, holds its silver bars in a London vault of custodian JP Morgan. The SOURCE ETF platform was originally established in 2008 as a joint venture between Goldman Sachs, Morgan Stanley, and Merrill Lynch. The latest silver bar weight list for the Physical Silver P-ETC (dated 23 June) states that it holds 3,129,326 troy ounces of silver (97.34 tonnes of silver). The list does not state an exact bar count, but looking at the weight list, there are about 3,237 silver bars listed. Inspectorate is also the independent auditor for the Physical silver P-ETC. The latest Inspectorate audit letter, conducted on 4 January 2017, states that at that time, this ETF held 2,048 silver bars containing 1,982,343 troy ounces of silver. This is interesting because about a week ago, this SOURCE Physical silver P-ETC held about 4 million ozs of silver. Now it holds 3.1 million ounces of silver, and at the start of the year it held under 2 million ounces of silver. So the quantity of silver held in this SOURCE silver ETF fluctuates quite dramatically. Shockingly, there do not seem to be any recent independent audit documents for any of these Deutsche ETCs anywhere on the Deutsche Asset Management website. The latest ‘Inventory Audit’ document in the ‘Download Center’ of the website is dated November 2012. That audit document can be viewed here. 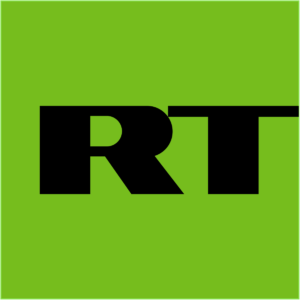 The old audit document stated that on 25 September 2012, ‘DB ETC Plc’ held 13,314 silver bars containing 13,040,194.3 troy ounces of silver (405.6 tonnes of silver), and that the audit was conducted at ‘Custodian and Location‘ of ‘JP Morgan Chase Bank, N.A. London‘. I have scanned the entire website and there is no sign of any other audit documents or any silver bar weight list. This would mean that in total, these 3 ETCs would have had an initial metal entitlement of 16,885,000 troy ounces of silver. However, due to what looks like operational fees being offset against the metal in these ETCs (i.e. selling silver to pay fund expenses), the effective metal entitlement for each of the 3 ETCs is now stated on the Deutsche website as being less than 10 troy ounces. For db Physical Silver ETC, the entitlement is 9.6841 ounces. For db Physical Silver ETC, the entitlement is 9.6930 ounces and for db Physical Silver Euro hedged ETC the metal entitlement is a very low 7.9893 ounces. Therefore, the amount of silver backing these ETCs looks to be (277500 * 9.6841) + (533000 * 9.693) + (878000 * 7.9893) = 14,868,312 troy ounces = 462.5 tonnes. Since there is no bar count, an approximate bar count assuming each bar weighs 1000 oz would be 14,870 Good Delivery silver bars. Since there are no audit reports and no silver bar weight list for these ETCs, it’s difficult to know if real allocated silver in the form of London Good Delivery silver bars is backing these Deutsche Bank db ETCs, let alone trying to figure how many silver bars are in a JP Morgan vault in London backing these Deutsche products. 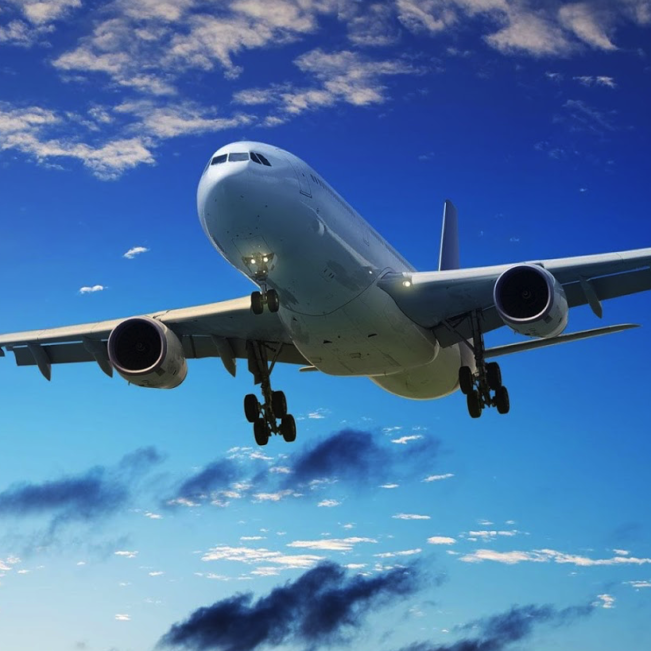 We can therefore use 462.5 tonne for Deutche but with a caveat that there is no current silver bar weight lists or independent audit documents. Adding up the silver held in the 11 ETFs profiled above yields the following table. In total, the 11 ETFs hold approximately 12,041 tonnes of silver (387.2 million troy ounces) across 4 vault operators. Brinks vaults hold 48% of the total, and JP Morgan vaults hold another 30%. HSBC and Malca Amit hold about 11% each of the remainder. In terms of London Good Delivery silver bars, these 11 ETFs hold approximately 400,000 of these silver bars. Since the 3 Deutsche ETFs (ETCs) don’t have an available bar list, I converted the assumed troy ounce holdings to bar totals by assuming each bar held weighs 1000 ozs. Brinks stores over 191,000 of these Good delivery silver bars. That equates to nearly 6,400 pallets with 30 silver bars per pallet. If the pallets were stacked 6 high, and arranged in a square, that would be an area 32 pallets long by about 33 pallets wide. 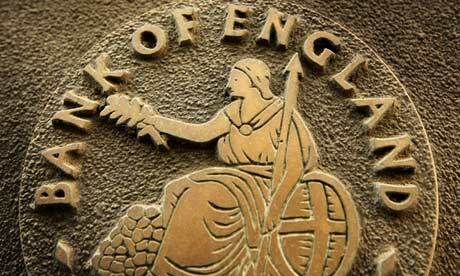 In addition, Brinks may also store silver on behalf of HSBC, or even on behalf of JP Morgan. Who knows? Those with a BullionVault login can go in and view BullionVault’s latest silver bar weight list which has been generated by Loomis, but BullionVault don’t allow this list to be published externally. Suffice to say, the latest list, dated 11 May, lists 11,544 silver bars which are stored across nearly 400 pallets. The GoldMoney website has a real-time audit page which currently states that GoldMoney has 202,057.614 kgs of silver. That equates to 6,496,153 troy ozs of silver, or 202 tonnes of silver stored in London. This silver is also stored with Loomis. At least some of this silver and probably a lot of it is in the form of London Good Delivery silver bars. Without being able to log in to the site properly, it’s not possible to see a bar list. So between them, BullionVault and GoldMoney have 550 tonnes of silver stored in Loomis vaults in London. My guess is that Loomis (formerly Viamat) store precious metals in a warehouse in Shepperton Business Park, Govett Avenue, Shepperton, a warehouse which is in the corner of the business park, beside the railway track. Adding this 550 tonnes of silver to the 12040 tonnes of silver held by the 11 ETFs above gives a figure of 12,590 tonnes. Let’s call it 12,600 tonnes. This is then the lower bound on the amount of physical silver in the LBMA vaults in London. On its ‘Silver Supply’ web page, the Silver Institute website has an interesting data table titled “Identifiable Above-Ground Silver Bullion Stocks” which lists 5 categories of above-ground silver stocks, namely ‘Custodian vaults’, ‘ETPs’, ‘Exchanges’, ‘Government’, and ‘Industry’. What’s notable and striking about this table is that the ‘Custodian Vaults‘ category for 2016 amounts to a very large 1571.2 million troy ounces of silver (50,440 tonnes), and also the fact that this ‘Custodian vaults’ category is distinct from silver held in ‘Exchanges’ (such as COMEX and TOCOM) and ETPs / ETFs (such as the ETF products discussed above). 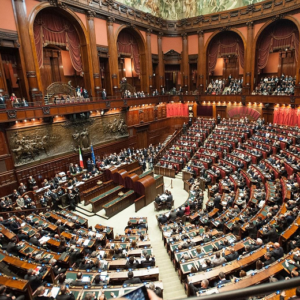 The ‘Custodian Vaults’ category also does not include ‘Government’ stockpiles or ‘Industry’ inventories. The actual table and the data in the table are sourced from the Thomson Reuters GFMS “World Silver Survey” 2017 edition. As you will see below, this ‘Custodian Category’ refers to holdings of silver which are not reported, but which are stored in custodian vaults, including in the London vaults. This category therefore needs to be examined in the context of the LBMA’s imminent reporting of silver holdings in the LBMA London vaulting system. You can also see from the above table that this 2016 Custodian Vaults figure of 1571.2 million ozs (50,440 tonnes) grew from a 2008 total of 615.6 million ozs (19,148 tonnes), so in eight years has risen more than 250%. ‘Identifiable bullion stocks can be split into two categories: unreported GFMS stock estimates that are based on confidential surveys and field research; [and secondly] stocks that are reported. GFMS goes on to say that in 2016 “Reported stocks were 36% of identifiable stocks“. Conversely, we can see that ‘Unreported’ silver stocks (Custodian Vaults and Government) were 64% of identifiable stocks. GFMS says that for 2016 “71% of reported stocks were ETPs“, the rest being Exchange and Industry classifications. Exchanges refers to silver held in warehouses of COMEX (NY), TOCOM (Japan) and the SGE and SHFE (China). COMEX is currently reporting 209 million ouzs of silver in its approved warehouses in New York, of which 172 million ozs in Eligible and 37 million ozs is in the Registered category. “Eligible stocks reported by COMEX contain a portion that is allocated to ETPs”. This will probably be an eye opener for those interested in COMEX silver warehouse stocks. 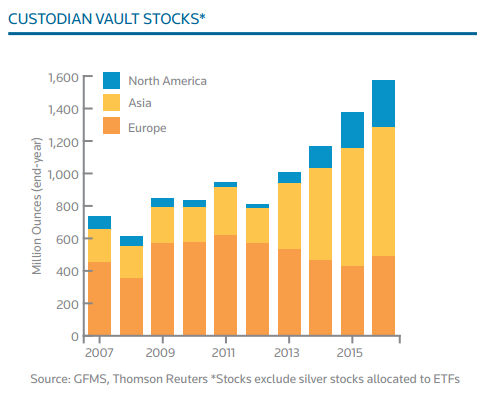 Addressing ‘Custodian Vault‘ stocks of silver, GFMS says that Europe’s share of Custodian Vault stocks was 488.7 million ozs (15,201 tonnes) in 2016 and accounted for 31% of total Custodian Vault stocks. Asian ‘Custodian Vault’ stocks of silver were just over 50% of the total with the remainder in North America (Canada and US). But what do these ‘Custodian Vault’ stocks of silver refer to? GFMS does not provide a detailed answer, but merely mentions a number of examples, which themselves vary by region. For Asia GFMS says “the bulk of these stocks are located in China, and reflects stocks held in vaults at banks“, and also ” other parts of Asia, such as Singapore, have been increasing in popularity for storage of bars and coins in recent years“, while in India “global bullion banks increasingly seeking this location as a strategic point for silver vaulting in case the need arises.” There are also silver “stocks in Japan”. From a BullionStar perspective, we certainly are aware that there is a lot of silver bullion in vault storage in Singapore, so the GFMS statement is accurate here. In North America, GFMS attributes the “growth in silver custodian vaulted stocks not allocated to ETPs” to a “drop in coin sales in North America last year“. In the 2016 edition of the World Silver Survey, GFMS said that the growth in custodian vault holdings was partially due to “the reallocation by some North American investors from their ETP holdings” [into custodian holdings]. Turning to Europe, GFMS says that the growth in Custodian vault silver holdings “can be attributed to increased institutional investor interest“. Therefore, according to GFMS, institutional investors in Europe are buying silver and holding real physical silver in Custodian vaults. 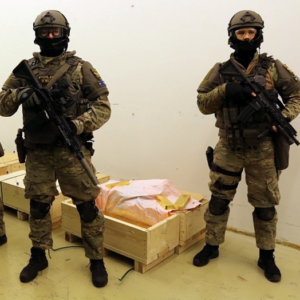 With 488.7 million ozs (15,201 tonnes) of silver held in Europe in ‘Custodian vaults’ that is not reported anywhere, at least some of this silver must be held in London, which is one of the world’s largest financial centers and the world’s highest trading volume silver market. So how much of this 15,201 tonnes of ‘Custodian Vaults’ silver that is said to be in Europe is actually in London vaults? Apart from London, there would presumably also be significant physical silver holdings vaulted in Switzerland and to a lessor extent in countries such as Germany, the Netherlands and maybe Austria etc. So whats’s a suitable percentage for London? Given London’s extensive vaulting network and prominence as a hedge fund and institutional investment centre, a 40-50% share of the European ‘custodian vault’ silver holdings would not be unrealistic, with the other big percentage probably vaulted in Switzerland. This would therefore put previously ‘Unreported’ silver holdings in the London vaults at between 6080 tonnes and 7600 tonnes (or an additional 182,000 to 230,000 Good Delivery Silver bars). Adding this range of 6080 – 7600 tonnes to the 12,040 tonne figure that the 11 ETFs above hold, gives a total figure of 18,120 – 19,640 tonnes of silver stored in the LBMA vaults in London (545,000 – 585,000 Good Delivery silver bars). Note, BullionVault and GoldMoney silver is technically part of the ‘Custodian Vault’ figure, so can’t be counted twice. ps: In its 2017 World Silver Survey, GFMS also stated that in 2016, ETPs (ETFs) held 664.8 million ounces of silver “with 75% of the total custodian vaulted stocks [that were] allocated to ETPs held in Europe and 24% in North America. Asia makes up the balance of less than 1%.“. This would mean that as of the date of the GFMS calculation for 2016, 498.6 million ounces of ETF silver was vaulted in Europe. Above, I have accounted for 387.1 million ounces of silver that is currently stored in London on behalf of 11 ETFs. There are also 3 Swiss Silver ETFs which store their silver in Switzerland. These are ZKB (currently with 74.9 million ozs), Julius Baer (currently with 13.7 million ozs) and UBS (currently with 5.89 million ozs), giving a total of 94.49 million ozs of silver for these 3 Swiss based platforms. Therefore, between London vaults and vaults in Switzerland, there are currently 14 ETFs that together hold 481.6 million ounces of vaulted silver (14,980 tonnes of vaulted silver). When the LBMA finally manages to publish its first report on the silver and gold stored in the LBMA vaults in London in the coming days, we will have a clearer picture of how much physical silver is actually in these mysterious and opaque vaults. A lower bound based on ETF holdings and BullionVault and GoldMoney holdings would be about 12600 tonnes of silver. A higher bound that also reflects ‘Custodian Vault’ holdings could be in the region of 18120 – 19640 tonnes of silver. There would probably also be some LBMA bullion bank float, which may or may not be included in ‘Custodian Vault’ figures, that could push the silver total to over 20,000 tonnes or more. For what is supposed to be a mature and efficient financial marketplace, this is a truly bizarre occurrence, and it must be pretty obvious that some of the vested interests in the London gold and silver markets needed to be dragged kicking and screaming over the finish line as regards being in any way open about how much gold and silver is actually in these LBMA London vaults. But now, according to the LBMA CEO in the same part of her speech, even so-called “credible investors” (as opposed to uncredible investors?) also “find it a little odd that as a marketplace, there’s no data“, which may explain the vampires within the LBMA being dragged into the daylight. Hopefully with the above analysis and the upcoming aggregated LBMA silver vaulting numbers, these “credible investors” (and the hundreds of millions of other silver investors around the world) will now be less in the dark about the amount of silver in the London LBMA vaulting network, and will now have better information with which to make investment decisions when buying silver and selling silver.